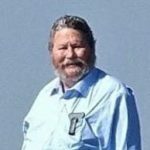 Randel Johnson, 70, of Granbury, passed away on March 13, 2019. Visitation will be held from 6-8pm, Saturday, March 16, 2019 at Martin’s Funeral Home, Granbury. Graveside service will be held at 1pm, Sunday, March 17, 2019, at Stroud Creek Cemetery. Randel was born on December 11, 1948 in Fort Worth, Texas to Nancy Jo and James Scott Johnson. Randel enjoyed hunting and tinkering on anything he could. He was always learning new things; his interests were vast: from National Geographic to Painting with Bob Ross. Randel loved his family, western and action movies, and was an avid fan of ZZ Top. Randel is survived by: his loving wife of 36 years, Susan Johnson, of Granbury, daughters: Joey Johnson and husband Milton, Misty Matcham & husband Ryan, Heather Hutsell and husband Matt, Christy Harris and husband Chris; 8 grandchildren: Morgan, Madison, Nolan, Trevor, Alyson, Grady, Ava and Lillian. Randel was preceded in death by his mother: Nancy Jo Johnson; brother: Robin L. Johnson, father: James S. Johnson, and Sister: Cindy Johnson. Funeral arrangements made by Martin’s Funeral Home. Be the first to share a memory of Randel .